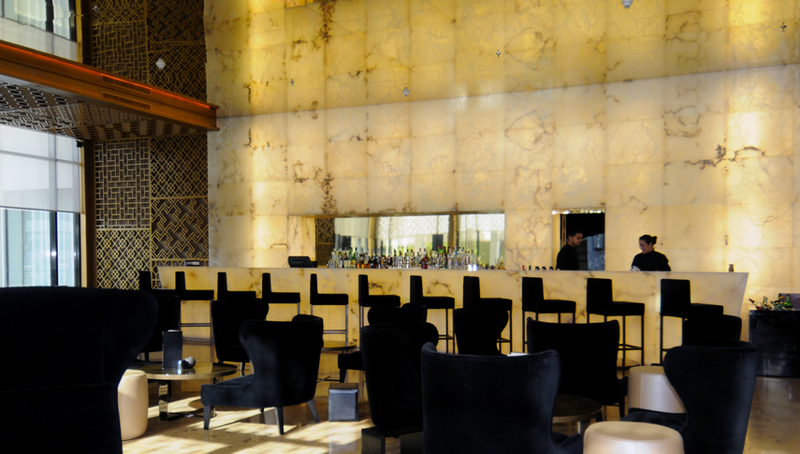 The architect has chosen to fill all the space in the bar and the back of the bar with backlit alabaster. The mirrored ceiling reflects the luminous composition; when night falls, it becomes the main source of light for this bar with its intimate atmosphere. The reflections inside the space at the back of the bar reinforce the sense of volume.